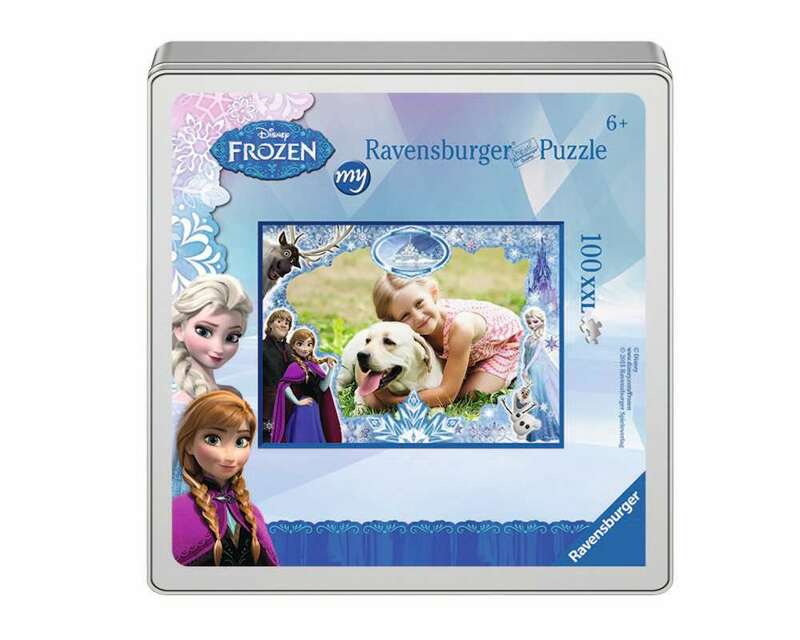 To create the puzzle, select your Disney Frozen frame, upload your photo and place it within the frame, select the number of pieces, design the box and order online. Ravensburger has been perfecting puzzles for over 130 years, using exclusively developed materials and handcrafted precision tools to bring a world of ideas, images, colors and styles to delight and unite the world of puzzle-lovers. This 100-piece my Ravensburger Puzzle with enchanting Disney artwork is made of original, extra-thick Ravensburger puzzle cardboard to withstand the demands of little hands. The personalized puzzle is the perfect gift for every Disney fan! Use a favorite picture of your pet, a family group shot, your best friend – the possibilities are virtually endless.